WHAT IS DISPOSABLE SURGICAL ASSIST PACK? Instruments and peripherals required for a particular operation, or part of operation, specially designated, arranged, wrapped, sterilized and ready to use. Contains supplies necessary in angiography, vascular treatment and other procedures involving a form of catheter examination. It is also useful in emergencies. The lines and syringes in the pack are color-coded to eliminate confusion and avoid infection. Designed for use in orthopedic surgery perfomed with an arthroscope. The items provided for arthroscopic surgery are versatile, safe and efficient so as to ensure smooth implementation of the entire process from preparation to actual surgery. 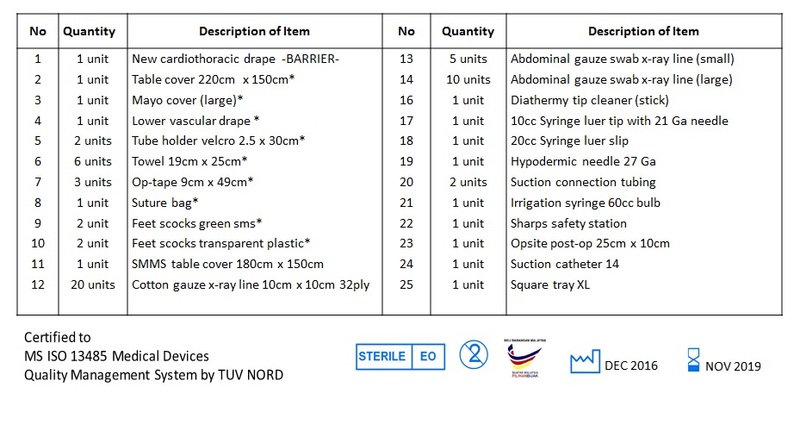 Contains supplies needed for a C-section, includes all the supplies necessary to prepare for a C-section, extremely useful in this surgical procedure that is often performed under pressing conditions. All one has to do is open the kit and find everything needed. 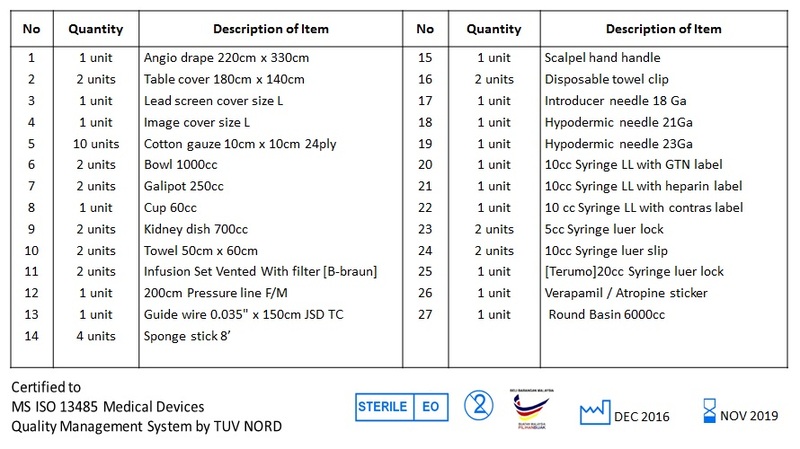 Contains supplies used in the field of thoracic surgery. It provides an improved system that helps to improve item management, ensure convenience and reduce staff workload and costs. Contains supplies necessary for all kinds of general surgical and medical procedures. This pack contains a range of anaesthesia and spinal packs - standard or customised - to suit your needs, individually wrapped and sterile.